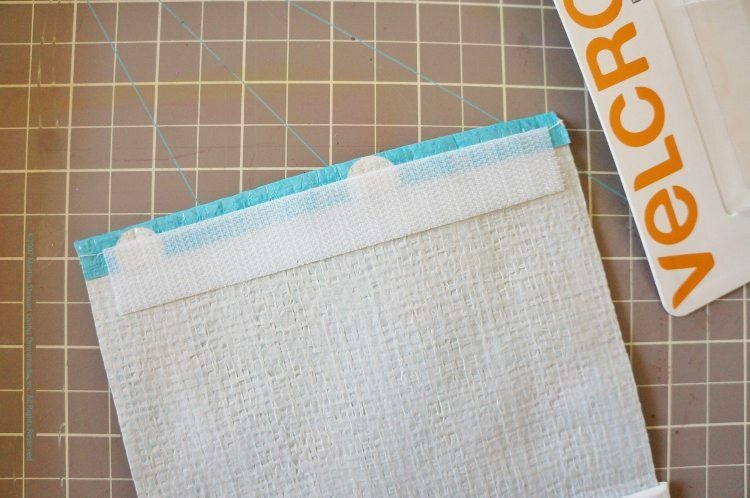 This article, Recycle Bags Turned Reusable Snack Bags, is sponsored by the VELCRO® Brand. All opinions are 100% my own. 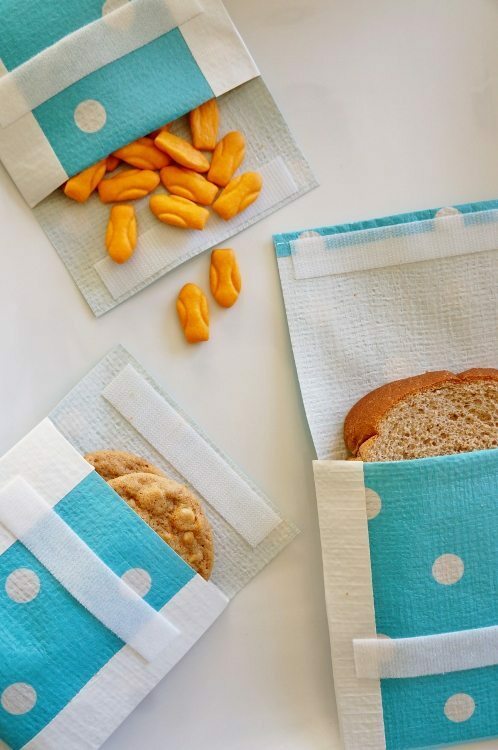 Now that school is well underway, I thought I’d share a great back-to-school hack by making inexpensive recycle bags into reusable snack bags for school lunches. VELCRO® Brand Sticky Back for Fabrics was perfect for this project. VELCRO® Brand products make it easy to plan, stay organized, and get crafty. They allow you to put up a corkboard in seconds to proudly display artwork or outstanding test scores, stay organized and create fun DIY projects. Use them to create a family calendar, keep track of homework assignments or chores in a spot that is easily viewed by all family members. 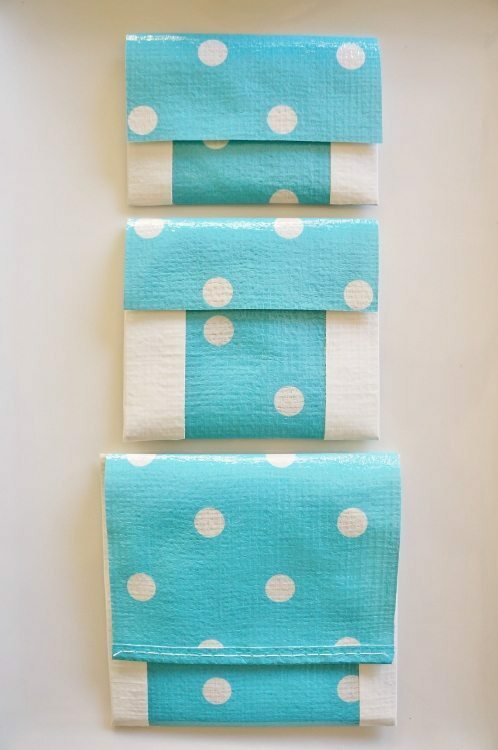 Here is how to make these simple no sew recycled snack bags. I try to avoid using plastic bags as much as possible. I have been using recycle bags at retail stores and grocery stores for the last four years. My trunk is filled with them. These days, they come in so many fun colors and patterns. These were $1.50 each. 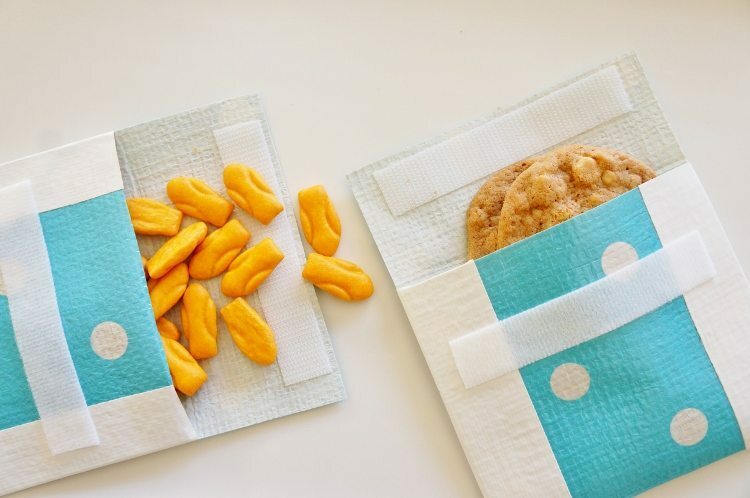 For a sandwich sized snack bag, cut a clean recycled bag into a 15”X6” piece. 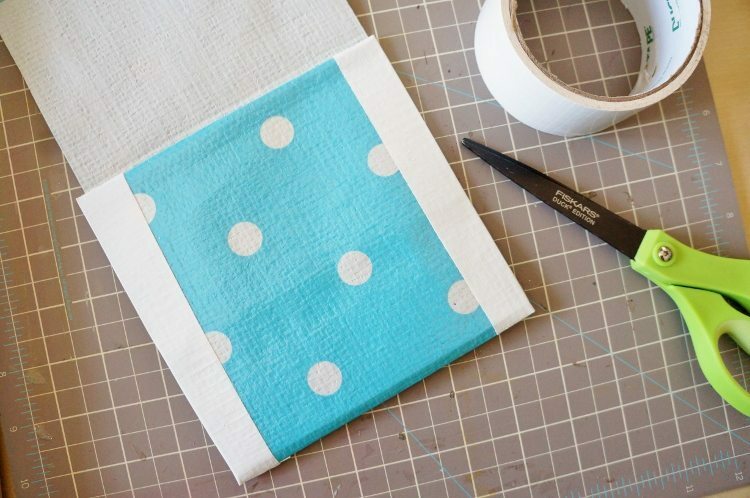 A rotary cutter and cutting mat makes this step very quick and easy. Fold up the bottom at 5.5” and use duct tape to secure the sides. 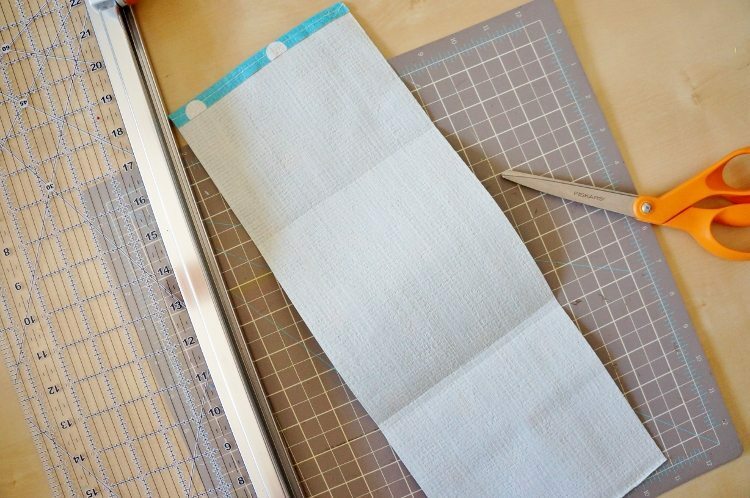 Cut two 5” strips of VELCRO® Brand Sticky Back for Fabrics. Peel away the release liner and press the adhesive side onto the inside lip of the flap. 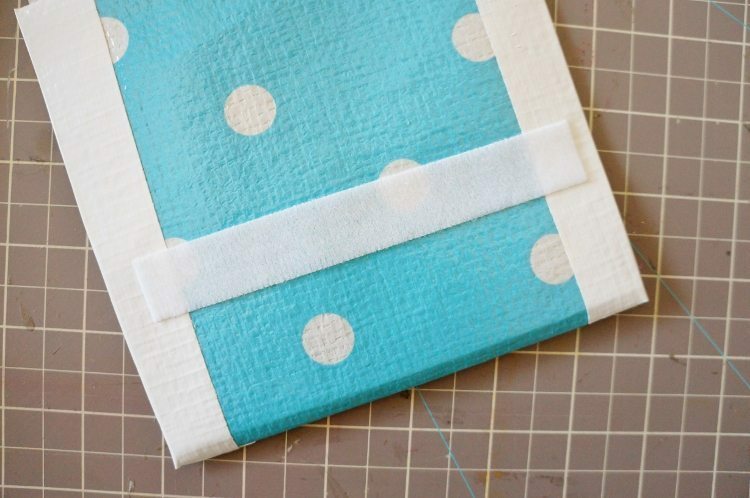 Place the matching side on top, peel the release liner, and close the flap. Allow it to set for 24 hours. 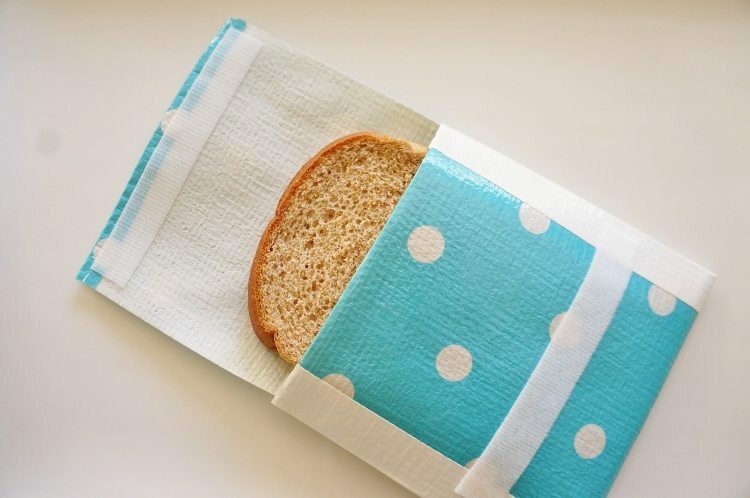 This bag is the perfect size for a sandwich. You can make them any size you wish, depending on your kid’s favorite snacks. Best of all, they are lightweight and fit nicely in various lunch bags. 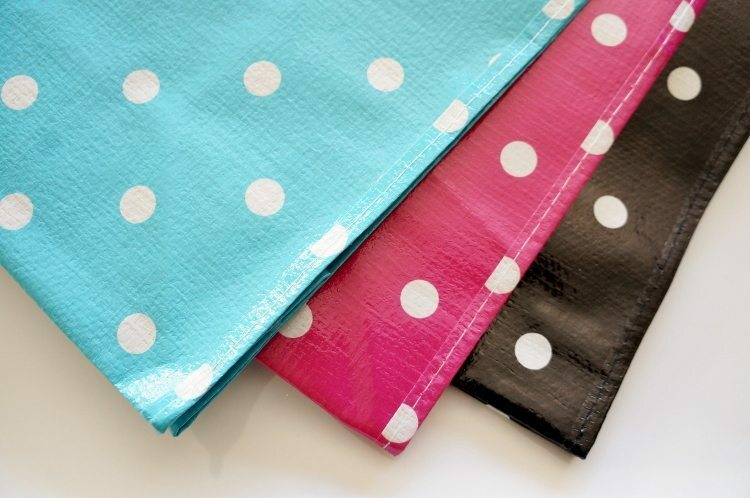 Tip: When washing you snack bags use cold or warm water. Do not use hot water in order to protect the fastening. 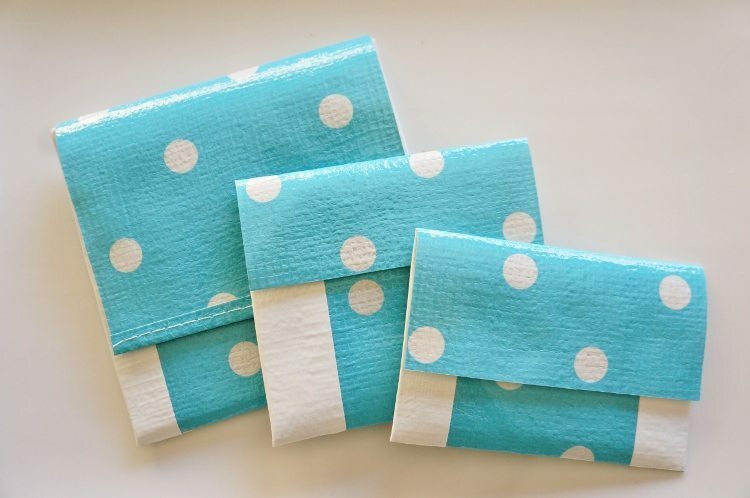 I made these three snack bags with one side of a recycle bag, so you can make six snack bags for only a few dollars. I hope you give it a try! Thank you to VELCRO® Brand for sponsoring this post. This is SUCH a genius idea, Dinah!! This is such a great idea! I love how they turned out! Thank you, Leanne! So easy! I LOVE these! Anything “no-sew” is awesome! I’m making some for my art supplies! Another great idea Dinah! This is so lovely idea! My girls will definitely enjoy making their own snack bags, and also will learn some more about recycling. I’m trying to teach them that they don’t have to throw away all the things the don’t need anymore and that they always can find another purpose of old stuff. Thank you for this great inspiration! Thank you so much for stopping by, Penelope! I love how easy you made these look. I *can* sew, but I love a project where I don’t need to! Thanks, Keri!! I get so lazy taking my sewing machine out. This is the next best thing!